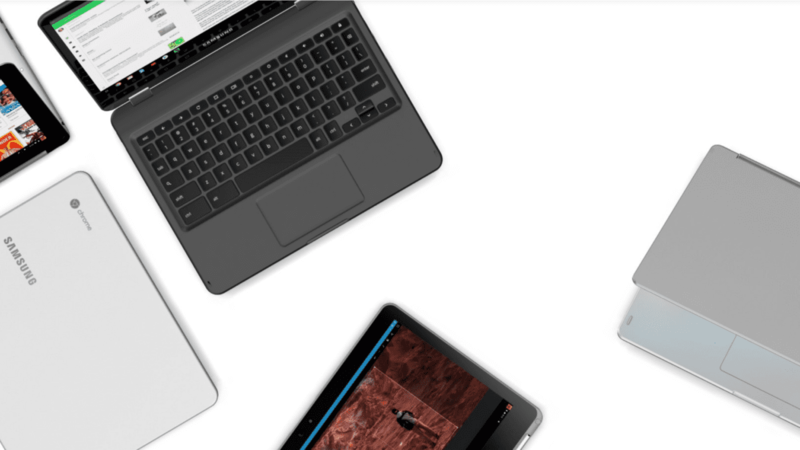 For the past year, much of the attention and focus around Chromebooks has been aimed at the addition of the Google Play Store and Android app compatibility. Rightfully so, this addition could eventually lead to Chromebooks with much more flexibility and power than they currently have. In the search for more and more capability and legitimacy, however, I (and probably a lot of others) forgot about some of the core things Chromebooks – and Chrome OS by extension – are simply fantastic at. For a few days this past week, I had a situation that caused me to operate from a Microsoft Surface Pro for a couple days, and the experience has done nothing but solidify my love for Chrome OS. Sure, there are limitations, but there are also things that Chrome OS simply nails and does better than any other OS on offer. Put plainly, Chrome OS deserves some credit for this stuff. OK, so maybe that rule isn’t a thing, but I’m going to make it one for the purposes of this post. The basis of the rule is this: if the 90% of things you do on a device are basically frictionless and work well, you can make concessions for the other 10%. I have a friend that just updated to High Sierra on his 2016 Macbook Pro and it is all sorts of broken. It has become so bad that he is looking into rolling back a version just to get through the workday. His 90/10 rule is out of sorts. Another friend hates the inability to confidently transfer files off of his Android phone onto his Mac. He also gets frustrated with some extended display issues he regurlarly has. These issues, however, are part of that 10% and don’t affect the vast majority of his workflow. His 90/10 rule is in line. For me, Chromebooks do so much so well that my 90/10 stays in line, too. Sure, we can talk about the issues with Microsoft Office or the lack of Photoshop, but for my workflow, those things are very insignificant. I edit graphics with Gravit Designer (review coming soon) and I leverage Google Docs for all it is worth. Every once and a while I have to find a workaround, but it is rare. Very rare. So for me, the 10% of times I meet friction, I get irritated but also remind myself of how great the other 90% is. This applies to phones and tablets, too. As long as the friction stays down for the vast majority of the time, we tend to stay with what works for our use-case. What Does This Have To Do With Chromebooks? A lot, actually. You see, as I stated in the opening, we have been hyper-focused on new features and abilities coming to Chromebooks. This is fine and needs to continue being what drives the segment forward. The more capable Chrome OS becomes, the more people can make it a large part of their computing lives. However, when we only focus on what’s next and what is coming, sometimes we forget how good things are right in front of us. Thus, I wanted to highlight some things that Chromebooks do better than both Windows laptops and Macbooks alike. I’m not arguing that you should ditch either of those things today. I’m simply wanting to highlight some of the things that I feel Chrome OS is superior at doing. So, let’s do that. Upon receiving the aforementioned Surface Pro, I had to run some updates. Not joking, the device updated for 4 hours, one update after another. Coming from Chrome OS for the past few years, this was mind-boggling to me. Sure, you could technically use the device while it was doing this, but it needed many reboots to continue the process, so I wasn’t interested in messing with it until it finished. Chromebooks update in the background, don’t worry with malware, and stay on a roughly 6-week schedule of regular refreshes. It’s something you don’t think much about until you don’t have it any longer. Closely related to updates is boot time. After one of those Chrome OS background updates, you need to restart in order to apply the update. No real worry there as Chromebooks can reboot in a matter of seconds. Usually from power down to power up, you’re looking at 15 seconds. From sleep, you are up and running instantly and a cold boot happens in under 10 seconds on most machines. Again, it is a feature you forget about until you don’t have it any longer. Setup is equally quick. From a new device, a user can be set up and running in just a few minutes. If there is a Chromebook near and I need to get a job done, I can simply sign in, let my apps and extensions install, and get to work. By contrast, the Windows experience I had the other day took me hours to get set up. Hours. I remember a time a few years ago when I had a work-related emergency and I was at a birthday party. I Googled the nearest Best Buy, ran in, found a Chromebook, signed in and took care of the issue. Within minutes of signing in, all my tools needed for my job were at my fingertips and I was instantly productive. Afterwards, I signed out and all my stuff left the store with me. I felt like a superhero. A distinguishing characteristic of Chrome OS is the multi-user setup it employs. Because boot times are crazy-fast, logging out one user and logging in another is simple and effective. Added to the fact that setup also happens with such brevity, getting started on any Chromebook or handing your device to a friend is a seamless, simple process. Log in, wait just a few minutes, watch your entire desktop setup appear, and then get to work on whatever it was you picked up the device for in the first place. Multi-user is so good that many homes could have a single Chromebook with multiple accounts and feel just fine on a daily basis as long as sharing isn’t a big deal. In fact, there are many times that it is just as easy to grab my wife’s Chromebook at home instead of getting by bookbag out of my car in the garage. When multiple people can so easily use a single device with so little friction in the process, it is a win. Chromebooks are simply the best at multi-user setups. While using the Surface Pro, the trackpad was pretty good (it was a $1500 device after all), but I found it inconsistent across the OS. In Edge, the sensitivity, speed, and coasting were pretty good. Move to Chrome or Firefox and it was workable, but odd. Coasting felt abrupt and I just couldn’t get it to behave the way it feels when you navigate with the touchscreen. And that’s the point of multi-touch gestures, right? Moving over to files and system apps, however, the multi-touch gestures behave very strangely if at all. It is all a bit odd on such a high-end device. This is something Mac OS has been great at for years and continues to be the best at. Chrome OS is a close second for me, though. Even on cheaper machines, gestures and scrolling feel like interacting with a touchscreen and I don’t have to wonder if these behaviors will simply not function in different parts of the OS. It just works and works well. When we talk about devices like the Pixelbook, the pointer control, swiping and gestures work just as well as a Macbook Pro, and that is saying something. With how messy touchpads/trackpads are on Windows devices, this is one of those things I simply forget about when using a Chromebook. It really is well done. For some time, Chrome OS has been pretty good at extending or mirroring to other monitors. As they continue adding flexibility here, I have to say Chrome OS handles this as good or better than anything on the market. I’ve plugged so many monitors and TV’s into my Chromebook that I’ve simply lost count and not one time have I come away unable to get connected and set up quickly. The ability to quickly reposition the monitors in virtual space and set primary displays is key here, but one other feature has simply been perfect for my use; and that is resolution scaling. Moving items between my high DPI screen and my standard DPI QHD (or standard HD) screen never causes issue. Things scale between the monitors beautifully and just work. I cannot say the same with the Surface Pro. Instead, I couldn’t quite line up the displays like I wanted and as I moved items between screens, things got messy and unusable pretty quickly. UI elements were blown up to comical proportions while my Chrome browser window refused to resize. Unplugging the display got things back to normal, but all the resets and workarounds I could find wouldn’t fix this glaring issue. Sure, eventual software updates could remedy the situation, but I was once again reminded of how easy all this is on a Chromebook. Plug and play at its best. It just works. This list isn’t exhaustive by any measure. I’m sure there are things you all could add and I implore you to do just that in the comments. Tell me the things you feel like Chrome OS excels at. Tell me the ways you prefer it over other OS’s. Tell me about the ways you feel Chrome OS gets a bit short-changed. What I ask you not to do in this comments section is tell me all the things Chrome OS can’t do, because there are plenty of them and we’ve all talked about that a lot. The point of all this is to show that our favorite OS possesses value to a lot of users beyond what apps can and can’t run on it. It is to show that, despite the narrow view of many users, Chrome OS has features that set it apart, make it special, and make people love to use it. It is all to show that if your 90% of work or play can happen on a Chromebook, perhaps the other 10% isn’t worth not enjoying all that Chrome OS offers.